Eyelashs tube packaging boxes have become a new trend for eyelash wrappers, making them more appealing than square-shaped cardboard boxes. Through the custom packaging, using convex process printing logo and product name, visually better. The interior of the box uses crystal cotton and clear blister packaging as the inner lining. The eyelashes inlaid in the round plastic, you can clearly see the characteristics of each eyelash and belong to which type; blister plastic packaging mat in the 5-8cm of crystal cotton, the use of white crystal cotton to play the set off of supporting eyelashes. The eyelashs tube packaging boxes that you’ve seen are just one of our many cosmetic tube packaging styles, or even just one of over 100 different types of eyelashes we’ve ever made. 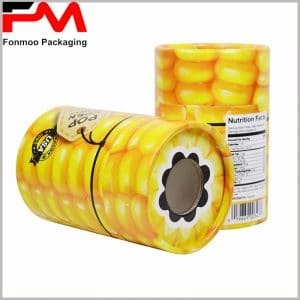 Due to the customized product packaging, there are many styles to choose from, which determine the size of the package based on the characteristics of the product. Of particular importance is the use of different printing processes and technologies such as gold foil printing and hot silver process, or the use of specialty papers such as laser paper to increase the visual appeal of packaging, create luxury product packaging and promote brand building. Most importantly, we can provide you with eyelashs tube packaging boxes samples for free within 24 hours of receiving the sample files, to communicate with you specific details and save your precious time.